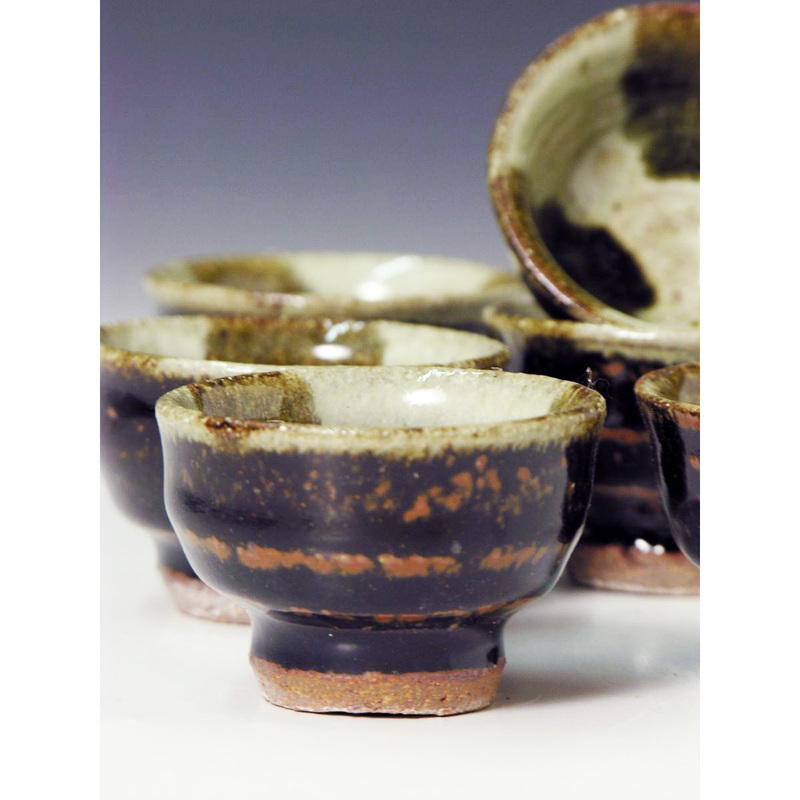 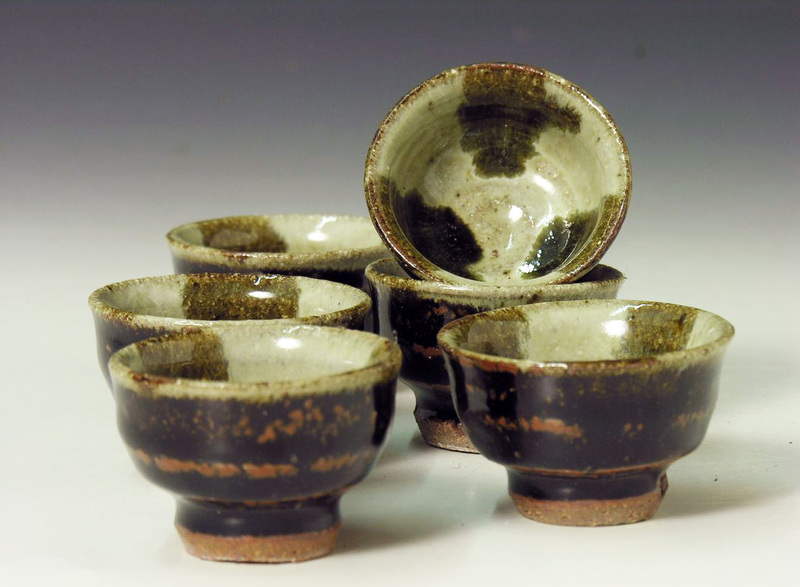 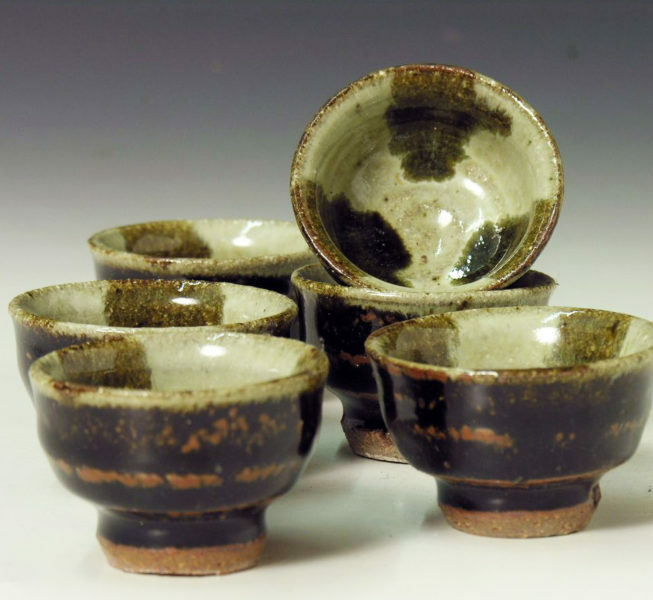 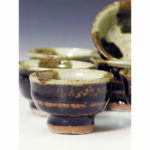 A set of six small bowls. 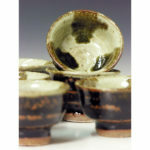 Tenmoku with Nuka glazes and tenmoku glaze pours to the inside. Suitable for soy sauce or sake.